Welcome to the St. Johns County School District Multi-Tiered System of Supports (MTSS)RtI website. MTSS/RtI is a term used to describe an evidence-based model of schooling that uses data-based problem-solving to integrate academic and behavioral instruction and intervention. The integrated instruction and intervention is provided to students at varying levels of intensity based on student need. The goal is to prevent problems and intervene early so that students can be successful. 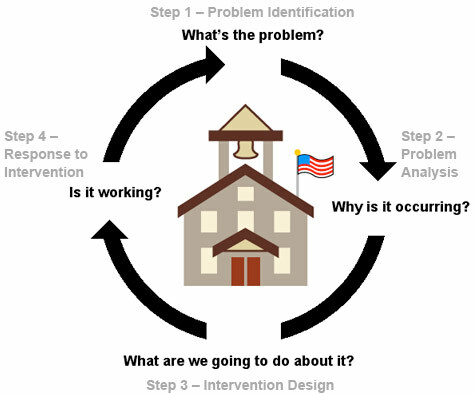 In St. Johns County we will refer to our system as a Response-to-Intervention (RtI) framework. Use a research-based, scientifically validated interventions/instruction. Use assessments for three purposes – universal screening, diagnostic and progress monitoring. For additional information regarding MTSS, you may also visit www.florida-rti.org.